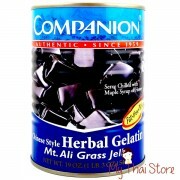 Welcome to My Thai Store, your one stop shop for Thai products and Thai Food Ingredients. Manufacturer names and logos are trademarks of their respective companies and are only used to identify their products. All rights reserved. My Thai Store and the My Thai Store logo are trademarks of MG Creations, registered in the U.S. All other trademarks, logos, and brands used on this site are a property their respective owners. MyThaiStore.com is owned and operated by MG Creations.